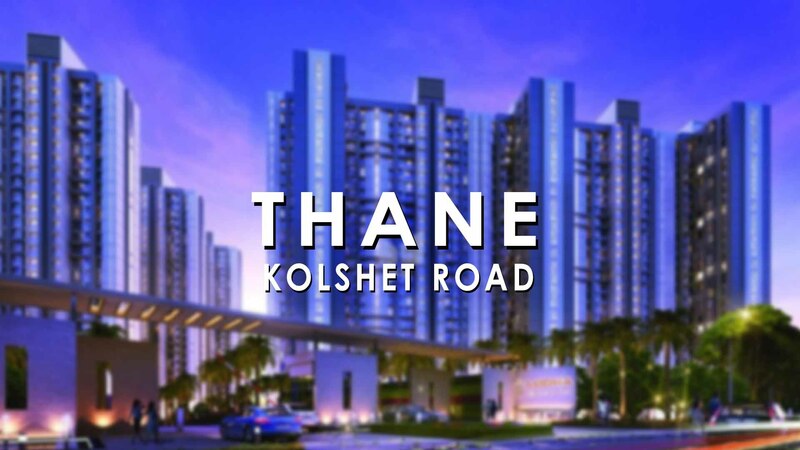 Equipped with sound infrastructure and seamless connectivity, Kolshet road has witnessed consistent growth as a residential destination in Thane. It is located in the north eastern part of the city, and is 5.9 km away from Thane station, making it very convenient for the people residing here. It is one of the most prominent roads connecting Eastern Express Highway with Western Express Highway, and acts as a bypass to the Ghodbunder road. Owing to its superb connectivity, Kolshet road has been selected for Thane Municipal Corporation’s project to develop an intermodal transport hub to encourage use of public transport. Other upcoming infrastructure projects include the Thane-Bhiwandi-Kalyan metro route and an underground tunnel of 11 kilometers to Sanjay Gandhi National park connecting Borivali and Thane. There are several renowned schools near Kolshet Road such as Kendriya Vidyalaya, Blossom High School and Orchid International School. Reputed hospitals like Hiranandani Hospital, Jupiter Hospital and Navjeevan Hospital are also present within close range of Kolshet Road. As far as entertainment is concerned, it lies within 2.3 km from Wonder mall and lies in the vicinity of other attractive shopping arenas such as R Mall, Lake City Mall, Viviana Mall. Also, proximity to Thane creek makes Kolshet Road one of the most ideal locations for those looking for an abode away from the city’s hustle and bustle. In 2017, Kolshet road accounted for 36% of the supply in momentum in Thane, and is estimated to experience a further decline in the amount of unsold inventory. With 2BHK units taking the lead, supply and demand of different property configurations in this area have been in agreement with the overall trend in Thane. Lodha Amara is one of the biggest projects in this locality, offering the highest number of 1 BHK and 2 BHK units. Even Kalpataru Group has invested heavily in this area with its projects Kalpataru Immensa and Kalpataru Sunrise. They also recently unveiled one of the country’s largest real estate experience centres named Parkside Galleria. Other large projects include Wadhwa Group’s Elite Platina and Elite Solitaire and Highland Park by Siddhi Gaurav Enterprises. Between 2009 and 2018, Kolshet Road withstood minor falls in the average price per square feet to yield an impressive appreciation of 150%. It is also the top performer in Thane’s commercial lease market with a rental yield of 10%. The predominant budget range of apartments in this area typically lies between Rs 1.2 crores to Rs 1.8 crores, with majority of moderately priced of 2 BHK unit falling in this range. Out of the 147 localities in Thane, Kolshet road has been ranked eighth as per the location reviews on magicbricks. It not only offers social amenities and convenience to its residents owing to its strategic location, but also generates healthy returns adding to the prospects of investment from both end-users and investors.